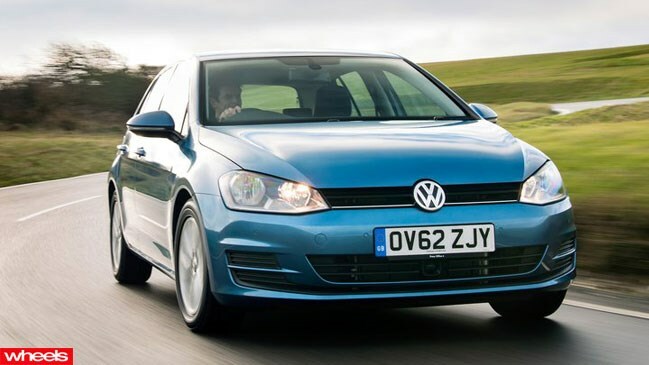 It hasn’t even hit Aussie roads yet, but the seventh generation Volkswagen Golf has been named the 2013 World Car of the Year. It marks the second consecutive time VW has won the prestigious award, after claiming the title in 2012 with the Up! Voted the best new vehicle out of an initial entry list of 42 cars, the 2013 Golf edged out rival finalists the Mercedes-Benz A-Class, Porsche Boxster/Cayman and the combined entry of the Toyota 86/Subaru BRZ. A renowned judging panel of 66 journalists from 23 countries bestowed the honour on the Mk V11 Golf, claiming the new model is as close to the ‘perfect hatchback’ as any company has come yet. But while the Golf took overall honours, it wasn’t the only winner. The Porsche Boxster/Cayman was voted the best car for enthusiasts, taking out the World Performance Car category. The Jaguar F-Type took top honours in the World Car Design of the Year segment, edging out the Mazda 6 and Aston Martin Vanquish.